Looking for the the poorest countries in the world? Sub-Saharan Africa is home to many of the poorest countries in the world according to a new measure developed by Oxford University with support from the United Nations (UN). For 13 years, the UN’s annual report used the Human Poverty Index, which is based on length of life, knowledge and standard of living, to measure poverty in developing nations. But, for the first time, in 2011, the UN used the Multidimensional Poverty Index (MPI) in the United Nations Human Development Report here. It complements income measurements by “reflecting a range of deprivations that afflict a person’s life.” For example, if a household has a toilet, clean drinking water within a 30 minute walk electricity, school-aged children attending school and if any household members are malnourished. A household is counted as “multidimensionally poor” if it is deprived of over 30% of the 10 MPI indicators. 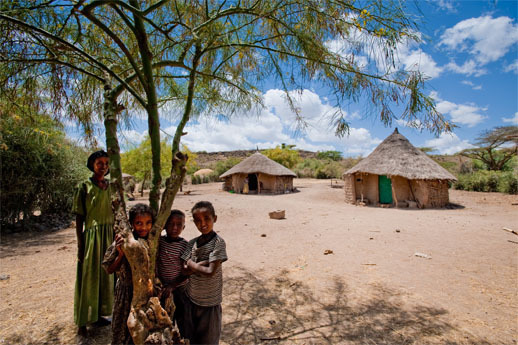 These are the 10 poorest countries in the world according to the MPI and they are all in Africa. Children wash clothes and swim in the Niger River at sunset, Niamey, Niger. Life expectancy at birth: 59.3 years. Marie Kamara’s baby Yaya was barely two months old when the rebels attacked Pamelap and killed his father. For years Guinea has been a refuge for those fleeing fighting in Liberia and Sierra Leone. When rebels from across the Sierra Leone border attacked the town of Pamelap and surrounding area in September 2000, thousands of people fled. They now long to return home, but have nothing to return to. As they wait, their health and sanitation conditions remain deplorable, with widespread diarrhea, skin diseases and malnutrition as families sleep thirteen to a room, with no food, no medical care, no shelter and no seeds to plant for the next season. It’s heart-wrenching when you compare 10 poorest countries in the world to the 1o richest countries in the world. If you’d like to help fight poverty and support people who live in developing countries you’ll love World Vision. Through World Vision you can sponsor a child or choose a gift to donate to those in need on behalf of you or your family this Christmas. The gifts are used to support global projects which improve the lives of children, families and communities in need. They start from only $5 for school pencils or water purification tablets. Or you could splurge $225 on a cow or $1,425 on clean water for an entire community. Now that would be a very happy Christmas for a lot of lovely people. For your work and for sharing your gorgeous photos with us. What else can we do to support people who people who live in the poorest countries in the world? And still Marie Kamara has a smile that lights up the morning! Really, human beings are so incredibly resilient. But no one should have to be as resilient as these people. Thank you for reminding us what real need there is for giving and sharing – and not just as Christmas. Oh well done, great post!!! I have been waiting for this post and love how you put it together. As someone born and raised in Africa where so much poverty is on our doorstep, this post resonates with my heart. It is so easy to grumble about things when we have so much, there is a whole huge world of people out there. Out there is really just a step out the front door, folk who are more than content with what they have, and they don’t have a whole lot. There is so much to learn in this life and not a whole lot of these lessons can be learnt from the rich and famous amongst us. Wonderful post Annabel, it is amazing how many smiling faces you see in situations like this especially when there are so many sulky faces on people who have everything. I grew up in Central Africa, Zambia, it was the best experience ever and it truly breaks my heart to see what’s happening in many parts of Africa today. I agree with you about World Vision they are a fantastic organization and I adopted a child in Africa as soon as we arrived here in Australia, that was over thirty years ago now (blimey I’m old!!) and have watched five more grow up since then, really it’s an experience that everyone should try. Go Barbara, what a lovely idea! Thanks for this post. I think in addition to donating to organizations like World Vision and Oxfam , we also need to actively support their campaigns aimed at eradicating the root causes of poverty (most often economic and social injustices) as well as other problems that exacerbate the problems. A timely post amongst the Christmas buying mania. Hi Annabel, I’m a long term supporter of world vision – over 20 years – and have enjoyed following the journey of two young children who grew up safe and well with clean water, access to health and school. I’m just in the middle of a post about what I’ve done with this year’s “christmas cheer” money. Coming soon…. Absolutely… well said, well timed. For the last couple of years my son’s music teacher has chosen to purchase an animal through World Vision and asked students to donate to this rather than give her Christmas gifts. Inspiring. As a teacher, it’s something I would like to do myself… just a matter of getting organised. I sponsor a child through World Vision, too, and love exchanging letters and news with him. He and my son are of a similar age and both soccer mad, and it is wonderful to think that we could have so much in common, and share the same sorts of interests, when we are worlds apart in so many other ways. I sometimes think of all the great things we have and know there is more that we could be doing. ps my father taught in Nigeria (where I was born) and said that he had never had such committed and interested students – education was not a given for these kids and they appreciated everything they could get… sometimes I wonder if we, here in the ‘lucky country’, ever really realise just what a precious gift education is! So brave… I would like to be strong enough to do something like that. Have you seen the new World Vision ‘One Just World’ link? while this is debatable if its a country (native american tribes have sovereignty and are considered their own nations), the U.S has one of the poorest places in the world. Look up Pine Ridge reservation – they mirror and sometimes exceed the statistics you have posted here! 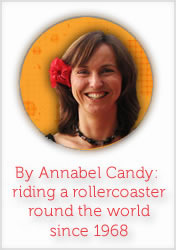 Good post for this time of year Annabel, I’m taken aback that all these 10 poorest countries are in Africa. Have always loved the giving of goats etc as a gift, it’s a great idea and worth so much more. As Chartreuse mentioned above, I am always amazed by how these children who have so little compared to kids where I live, still manage to smile and look so happy. I found the same in Belize, and wonder how to interpret the significance. Thanks Annabal, and I’m going to Barbara’s to help raise $1,000, as she mentioned. Merry Christmas to you and your followers. Sonia. Unfortunately, all the above countries are in Africa, a continent also rich in natural resources, that has been bled over and over by civil wars, internal strife and external greed. What is to be done to help? Philanthropists and organizations have tried for decades to help, in large and small ways, but as long as there are internal problems, civil wars, slaughters, and greed, it’s hard to make real inroads and raise the poverty level. It seems like one of the biggest problems is access to drinking water, and this is a major issue in many parts of the world – not just Africa. Please, Anabel, as another project, perhaps you might try and find out which countries have or are managing to overcome poverty and make forward strides in health, literacy, nutrition, etc. and how. Thanks for posting this story and beautiful photos. I think I’m blessed but from the looks on their faces, I think I’ve got it all wrong. You’re the best and this shows what a lovely person you truly are! Imagine if everyone in developed countries sponsored a child. It is a very rewarding experience. Cutting out a daily coffee in a paper cup would enable each of us to sponsor 3 children every month, drastically reduce landfill and save countless trees. Small helps are too little too late ! The systematic reduction of human capital in the world of economics has created this extreme poverty. It is high time we start thinking about investments in Africa. There are fears of arson and looting, but African economies offer enough liberty of securing your own businesses. Also, Africa offers a lot of natural, untapped resources. This is very sad. I’ve just returned from a trip to Kenya and Tanzania last month. We visited the East Africa Mission Orphanage in Kenya, it was a heart breaking experience.